There’s so much in fact that you might not know where to begin. 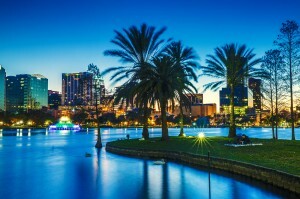 In this guide to the Top Ten Places to Visit in Florida I will list some of this wonderful state’s most beautiful and interesting destinations. 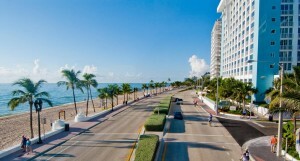 Fort Lauderdale beach is one of the oldest and largest public beaches in the country. It has been a top destination for spring break for decades. With more than seven miles of glittering coastline and soft clean sand, this beach is an ideal destination for those looking to experience fun on the Florida coast without the hustle and bustle of Miami. For those who are seeking fast paced excitement and night life there is no better place in all of Florida (or perhaps all of America) than the international tourist hot-spot that is Miami. Here you can find everything from natural history museums to late night salsa dancing. 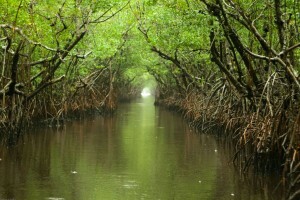 The Everglades National Park is the world’s America’s largest tropical forest and one of our last remaining wetlands. Known for its biodiversity and exotic inhabitants, the Everglades are a great place to take the family for a fun, educational adventure. Siesta is one of Florida’s premier beaches, located on a barrier island on the state’s southwest coast in the Florida Keys. While it is perhaps best known for the extravagant wealth of its local inhabitants, Siesta Key is also a great place to visit for a day of fun with the family. 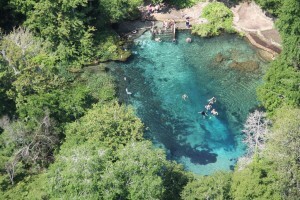 Ichetucknee Springs is a national park and landmark located in north Florida near the small town of Fort White. It is centered around a six-mile-long river that lends its name to the park and has accommodations for camper, as well as canoers and kayakers. This is a great place for those seeking some outdoor adventure. Located on the westernmost tip of Florida’s panhandle, Pensacola is a classic Florida resort town with over five hundred years of history and some of the state’s best seafood-and that’s saying something!. Pensacola also has a lively historic district with reenactors bringing the state’s Spanish colonial heritage to life. Orlando is known its many theme parks from Disney and its associated parks, along with Universal Studios and Islands of Adventure. Of course, there are also adult attractions like spectacular shows, high-end outlet shopping, and fine dining. Destin is a panhandle city like Pensacola. Despite being only about an hour east, it is of a decidedly different character. 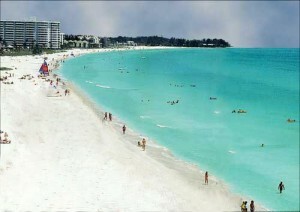 Destin is a great place to relax with its great number of golf courses and resorts. It is easily one of the perfect places to kick your feet up on the beautiful Gulf of Mexico, daiquiri in-hand. Naples has everything you could want in a Florida town: golfing, beaches, shopping, resorts, and fine dining. It is also a world-famous fishing spot that attracts thousands of sportsmen a year with several annual fishing tournaments. 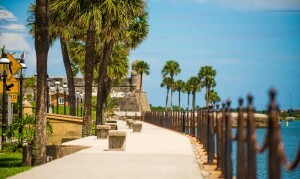 St. Augustine is something of a Mecca for history buffs. It is one of the first cities founded in the Americas by Spanish explorers seeking gold, land, and resources. To this day this city boasts more historical sights than I can list, but trust me if you’re in Florida, this city is well worth your time! Now that we have covered our top ten places for a Florida vacation visit, you should have an idea of what this beautiful state has to offer. So, make some to time to put a little extra sunshine in your life and give Florida visit so you can experience all of this great food, fun, and history for yourself!